Internet Broadband is growing rapidly in all Provinces, Cities and Towns of Pakistan. More and More Youngsters are getting Internet Connections for Educational, Entertainment and other purposes. Still Internet has to get great growth in Pakistan. One of the major reason for growth of Internet Broadband in Pakistan is Many Companies offering Internet Packages on low rates. 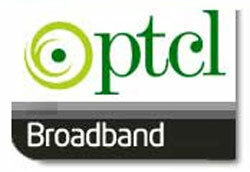 Following are different Internet Broadband Companies Present In Pakistan. You can get any of them according your need.